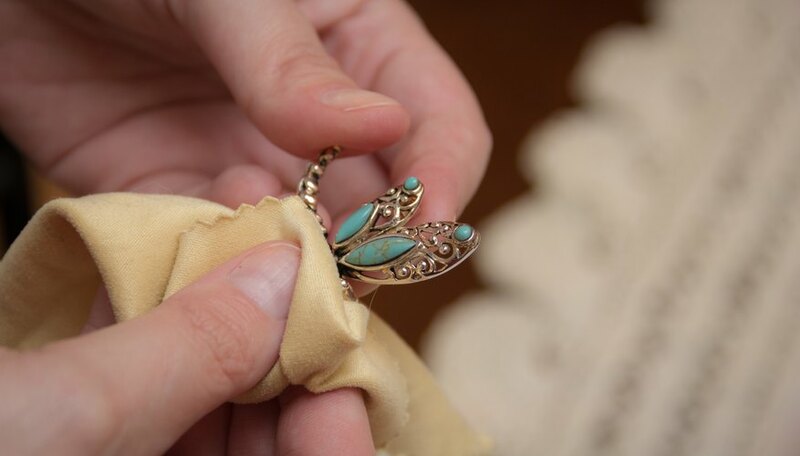 You can always clean your silver pieces the old fashioned way, using silver polish and elbow grease. However, science has provided a much less labor-intensive solution to your grimy silver problems. 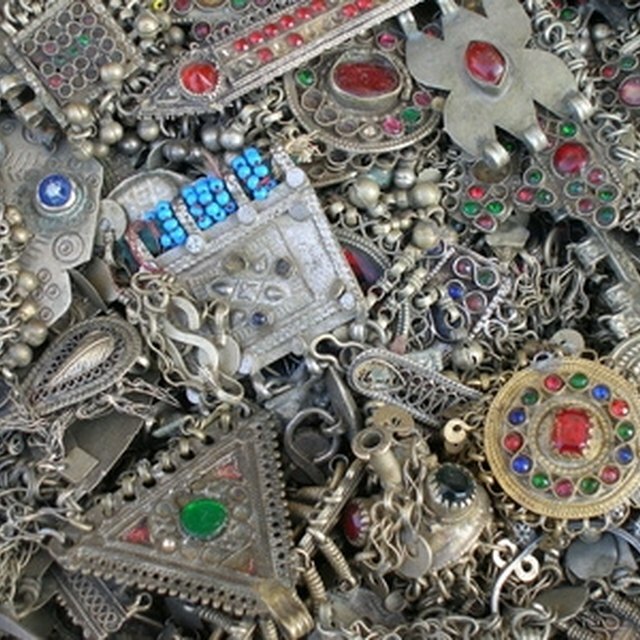 It's the electrolytic process, a method that separates the tarnish-causing chloride and sulfide ions from the silver. No need for a laboratory to conduct this experiment; it's safe and easy to do at home using common household products. 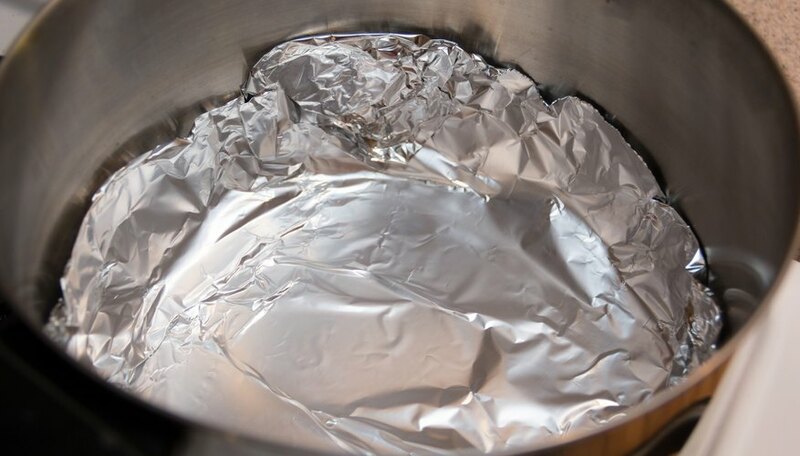 Tear off a large sheet of aluminum foil and lay it in the bottom of a glass baking dish or plastic container. 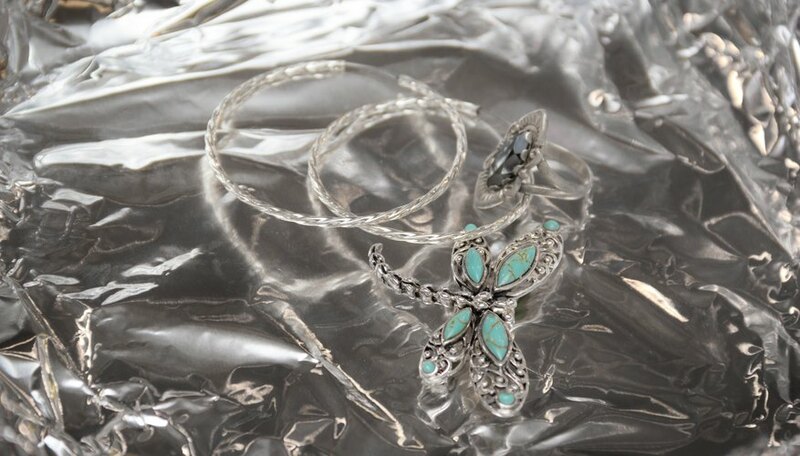 Lay a single layer of silver pieces on top of the aluminum foil. Leave excess silverware out to clean in the next batch, as you will likely need to repeat the process to get all your silver clean. Mix a half gallon of hot water and two tablespoons of baking soda in a large pitcher. Pour the mixture over the silver pieces until they're completely covered. 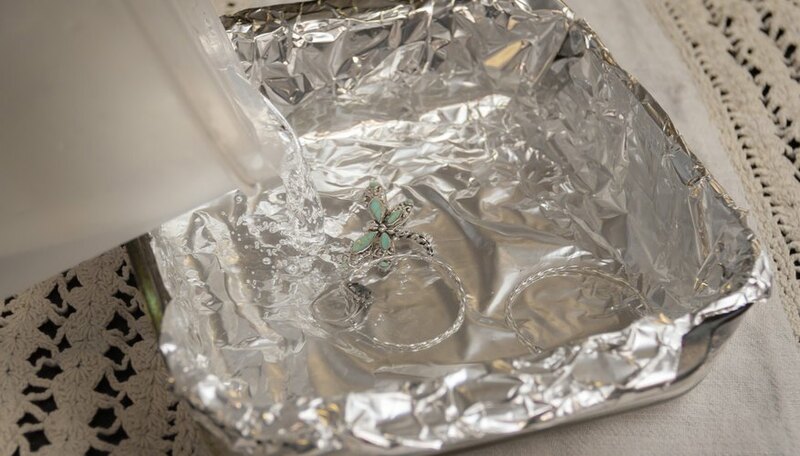 Allow the batch of silver to soak for about ten minutes, during which time an ion exchange will take place between the aluminum foil and the silver. Remove the silver pieces and buff each one dry individually with a soft cloth. Move the pieces to an appropriate padded case as soon as possible. 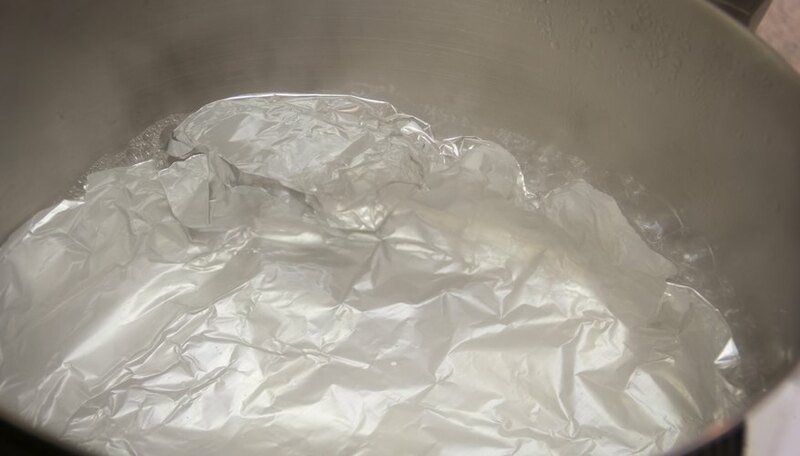 Use a clean piece of foil and a fresh baking soda mixture for any subsequent batches. Mix one liter of water and one tablespoon of baking soda in a large pot. Add a piece of aluminum foil. Turn the stove burner on high and bring the mixture to a boil. Drop the silverware in to the pot for about 10 seconds or a little longer if very heavily tarnished. Remove silver with kitchen tongs.